Info:Gift Shop located in Haddington. After popping into buy a sheet of wrapping paper and hearing her favorite shop was for sale Frances bought The Malt Kiln in 1997. She quickly established an excellent reputation in Haddington making The Malt Kiln the place to go to make shopping a pleasurable and exciting experience. Frances enjoys her job as buyer and loves to seek out products for the shop she knows her customers will love as much as she does. 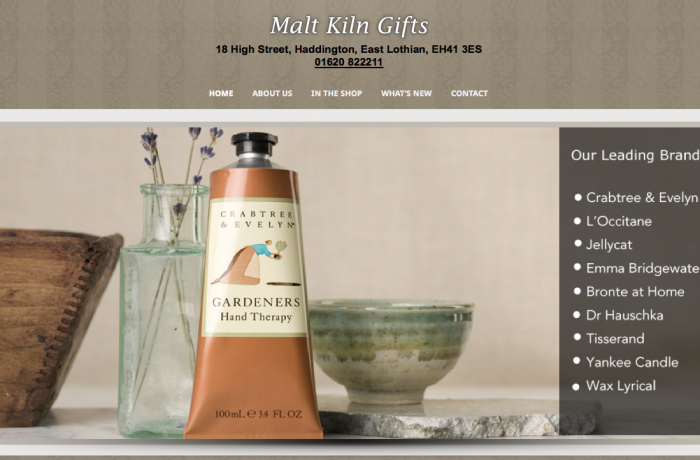 With its extensive choice of branded products, excellent customer service and the knack for stocking something a little bit different a visit to The Malt Kiln brightens your day, whether you are buying a gift or a treating yourself.